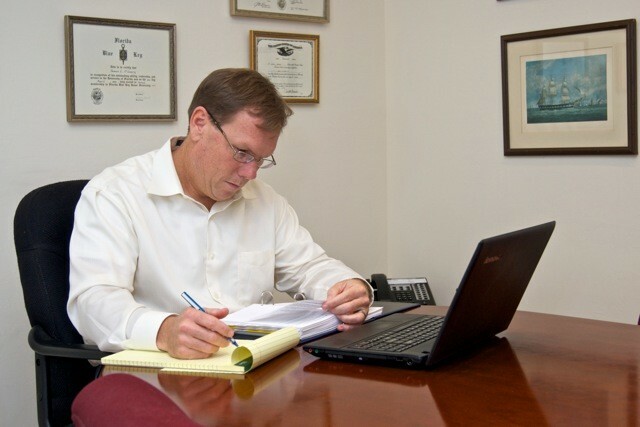 Attorney O’Leary will walk you through each step of the legal process so you know what’s happening with your case. The personal injury legal process is unique from all other areas of the law. This is because an incident that results in bodily injury or death involves human pain and suffering that can involve a whole host of different problems that can permanently damage a person’s life or the life of an entire family. Whether it is a severe car accident, a serious injury caused by a dangerous defect on someone’s property, a medical malpractice incident, or any kind of wrongful death incident, accidents such as these permanently change someone’s life or the life of a family. We are very sensitive to the human pain and suffering in a case and try to take as much of the burden off our client’s to allow them to focus on their medical rehabilitation or in the case of wrongful death, their own individual grieving process. The use of physicians, therapists and counselors is discussed early on to make sure clients have been fully diagnosed and are obtaining all of the appropriate treatment for their unique situation. Although you may be suffering from a severe injury or grieving over the loss of a loved one and the last thing on your mind may be meeting with an attorney, it is important to seek legal counsel if you have any doubt or question in your mind over your exact rights to recover money damages from the at fault negligent party. We are here to help guide you through that process and answer any questions or issues you may have about your legal rights. In order to initiate an attorney client relationship, there are certain forms that are required to be completed by the attorney and the client(s). The first form is a Statement of Client Rights that is designed to give the prospective client notice of all of their rights related to the representation of the particular matter. The second form is the Authority to Represent, this is a contingency fee contract which simply means there are no attorneys fees nor any costs required to be paid by the client(s) unless there is a monetary recovery obtained for the particular case. The fee for most types of personal injury cases is a third of the gross recovery or forty percent in the event a lawsuit is filed. Ideally there are many types of claims that can be resolved in the “pre-suit” phase and thereby do not require that a lawsuit be filed. The benefits to the client, the insurance carrier, and the court system from pre-suit settlements are numerous, including the savings of time, money, and the management of the risks of litigation, trial, and appeals. The process our firm utilizes to initiate a personal injury claim initially requires the collection of incident and client information. Typically in auto accidents, for example, there will be a fairly comprehensive crash report created by the law enforcement agency in the jurisdiction. In slip and fall cases there may be an incident report that contains the information about the fall. In nursing home and medical malpractice cases there can be incident reports that are more comprehensive in nature. Most incident reports are not admissible in court due to the public policy governing privileges because they are considered risk management tools created in anticipation of litigation. These reports can be valuable discovery tools however but may contain inaccuracies and may not properly document the actual facts and circumstances of the incident. We create witness and exhibit lists that contain the cast of characters and important evidence involving both the liability and the damages aspects of the case in order to prepare the case for any potential trial or appeal down the line. Expert witnesses may be required to give expert opinions on various issues that may be presented. Under Florida law, in medical malpractice cases, an affidavit from a medical expert witness is a prerequisite to filing any civil action against a health care provider. Once a case in the pre-litigation phase has matured and the client has reached Maximum Medical Improvement (also known as MMI), the case will be advanced into the offer of settlement phase where the insurance carrier will be presented with a formal offer of settlement on the claim. Depending on the case, there may or may not be negotiations at this point which varies on our strategy and evaluation of the case. However, in most cases, due to the intricacies of Florida’s insurance bad faith law, the proper procedure is to provide the insurance carrier as much of the case information reasonably available before filing a lawsuit against the at fault party and giving them a fair opportunity to evaluate and settle the claim. If a case is not resolved in the pre-suit phase, the next step is filing the Complaint in the Circuit Court of the appropriate county. Our practice is to always request a jury trial in the Complaint. The defendant can either Answer the Complaint and assert affirmative defenses or file a motion directed toward the Complaint seeking to have the case dismissed for a legal reason. These first few steps in the litigation process is known as the Pleading phase. If the defendant answers the Complaint, the legal process of discovery begins where parties have the right to collect more information about the claims and defenses being made in the case. During discovery, typically there are requests for documents, interrogatory questions to answer, subpoenas issued to third parties such as medical offices and hospitals, and depositions of important witnesses. The trend in Florida law is too allow fairly broad discovery of any fact that may lead to the discovery of admissible evidence at trial. During litigation the Court may intervene at various phases to conduct case management conferences and hearings on legal issues. One of the more important types of hearings that may occur in civil litigation is a motion for summary judgment hearing when a party seeks to have the court rule as a matter of law on a certain issue. If a court grants summary judgment on an issue, that issue no longer requires determination by a jury. Our firms uses Lexis Advance from Lexis-Nexis as our online legal database that gives us access to all the Florida Statutes, Florida Statutes Annotated, all of Florida Case Law, all of Florida’s rules and regulations, as well as all of the law reviews and treatises that are available to address complicated legal issues and proof of facts. Ultimately, the purpose of litigation is to prepare a case for trial. Floridians have a Constitution right to trial by jury. Before a jury trial can begin, the attorneys must engage in a jury selection process known as “voir dire” which means, “to speak the truth.” This is more of a de-selection process because the real goal is to remove people that, due to no fault of their own, may not make the best jurors for a particular type of case due to life experiences, personal beliefs, or special relationships. The purpose of a jury trial is to educate the jury on the facts and give them the evidence needed to find what the facts are and render a verdict answering the specific questions, or issues, of the case. A judge will instruct the jury on what the law is that they should apply to the case when deliberating and rendering a verdict. Upon the return of a jury verdict, the judge will ultimately enter final judgment on the case. After a final judgment is entered, parties have an opportunity to appeal to a higher court, known as an appellate court. In southwest Florida, our jurisdiction falls under the Second District Court of Appeals located in Lakeland, Florida. The Court of Appeals will review questions of law to determine whether the trial judge committed an error in judgment during the litigation or trial. If an error is found, the appellate court can reverse the decision of the trial judge. If no error is found the appellate court will affirm the trial judge. Depending on the issue on appeal, there are more limited circumstances in which the Florida Supreme Court could have jurisdiction to hear an appeal from the District Court of Appeal.